Continuous immersion without loss of performance achieved by a special fuel resistant insert. Integrated backshell for heat shrink boot. Four new insert arrangements designed for Fuel Cell applications including a 12-04 (4 #16 contacts). Specially developed seals to resist racing fuels and fluids. Glass to metal Hermetically sealed. High levels of finished connector stock supported by our worldwide network of distributor partners. Free and user friendly 3D models downloadable from our website. Mastering fuel equipment performance and efficiency is key to winning precious seconds on both the track and in the pit. Data acquisition in the field requires specific equipment, whether immersible or not, to have excellent resistance to racing fuels and fluids, great anti-corrosion properties and withstanding pressure differential without loss of electrical performances. SOURIAU - SUNBANK Connection Technologies is a recognized worldwide market leader in the design and manufacture of fuel tank connectors and immersible interconnect systems for harsh environments. SOURIAU - SUNBANK Connection Technologies' main production facility is located in Le Mans; since 1990 we have supplied connectors to local racing teams for the world famous 24 Hour endurance races. Motorsports is a market where more and more electronics are installed and where space and weight constraints become more critical. Our connectors are designed to be smaller and lighter with highest reliability features to protect the driver and are used globally on two and four wheeled motorsport vehicles. 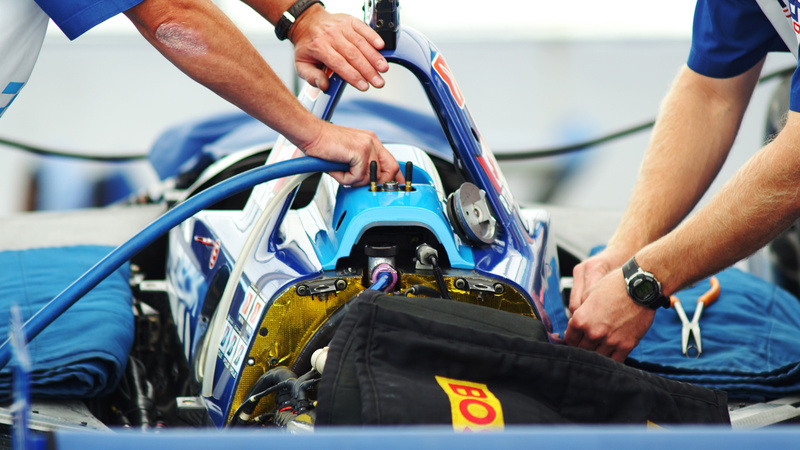 Our interconnect solutions are mainly used in Formula 1, Indy Cars, GP2, NASCAR, world rally cars, endurance racing (LMS, ALMS, Formula Le Mans, etc.) and motorbike racing (Moto GP, World Superbikes, etc. Applications include: batteries, starters, alternators, fuel pumps, sensors, engine control units, communications, radios, data acquisition systems and harnesses. SOURIAU - SUNBANK Connection Technologies' products answer all the fuel tank requirements with sealed and hermetic connectors which ensure the most reliable solution.